Curtis Ousley (February 7, 1934 ? 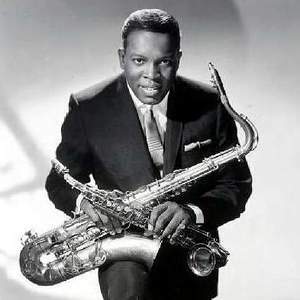 August 13, 1971), who performed under the name King Curtis, was an American tenor, alto, and soprano saxophonist who played rhythm and blues, soul, rock, and soul jazz. Curtis was born in Fort Worth, Texas. During the 1950s and early to mid 1960s he both worked as a session player on such records as Yakety Yak and recorded his own singles. His best known singles from this period are "Soul Twist" (Enjoy) and "Soul Serenade" (Capitol). In 1965 he moved to Atlantic Records, where his most successful singles were "Memphis Soul Stew" and "Ode to Billie Joe. Curtis was born in Fort Worth, Texas. During the 1950s and early to mid 1960s he both worked as a session player on such records as Yakety Yak and recorded his own singles. His best known singles from this period are "Soul Twist" (Enjoy) and "Soul Serenade" (Capitol). In 1965 he moved to Atlantic Records, where his most successful singles were "Memphis Soul Stew" and "Ode to Billie Joe." He led Aretha Franklin's backup band, The Kingpins, and produced records, at first with Jerry Wexler and then by himself. Curtis guested on John Lennon's Imagine and was capable of attracting the best session musicians to put in appearances for his own albums, including Eric Clapton, guitarist Duane Allman on Instant Groove, and organist Billy Preston and drummer Bernard Purdie on Live At Fillmore West. On Saturday August 13 1971 he was stabbed outside his apartment and pronounced dead upon arrival at hospital.